Choose any of the superb range of Aquatica freestanding baths, of which there are a huge range of styles and designs, and you will need a freestanding floor mounted bath filler that reflects the same premium quality of manufacture and stylish design. This Aquatica solution provides just that. 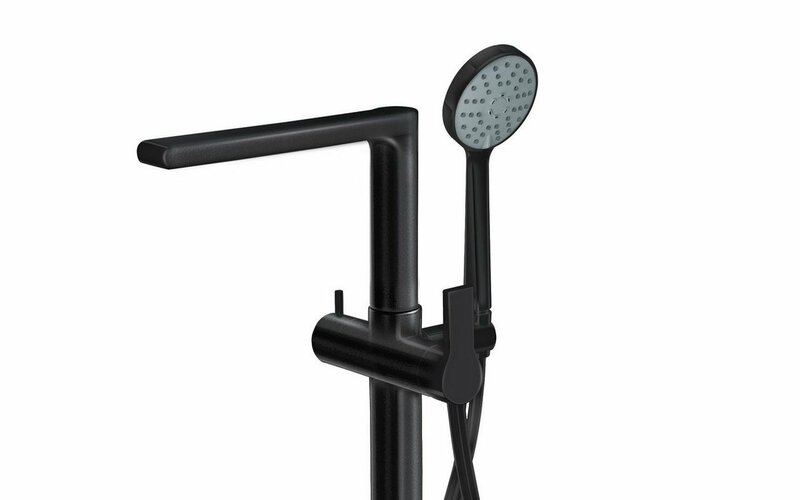 Artfully crafted to a high level of refined elegance and simplicity, it will sit happily in both modern and classic bathroom decors, its ‘well-groomed’ lines melding seamlessly with a whole range of moods. The filler focuses on a spare cylindrical upstand which rises to the 200mm long, right-angled spout formed as a single piece with flattened top and sides to perfectly offset the overall filler design. The discreet hot and cold mixers are located on each side of the pillar for independent temperature control. 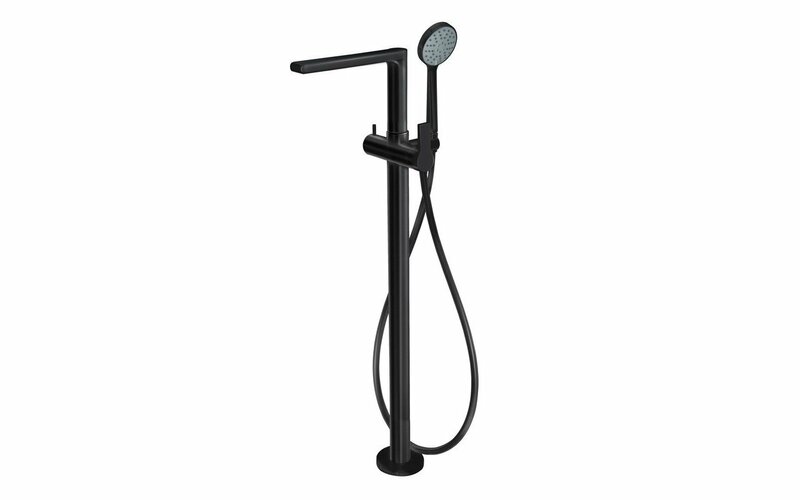 The detachable hand shower is equally clean and simple in its line with a circular, multi-jetted anti-lime head and durable longlife flexible hose. The entire piece is completed in smart black matte.